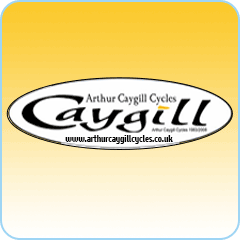 Arthur Caygill began custom building frames and repairing bicycles in 1983, in a leaky old shed on Gallowfields Trading Estate in Richmond, North Yorkshire. As his reputation for quality workmanship and reliability increased so did trade and it wasn’t long before he could move into the much drier surroundings that are our present home on the same estate. We quickly began selling components and bicycles supplied by other manufacturers. Continued success enabled us to extend the showroom and build our workshops from where – in 1989 – we were able to produce our very own Caygill frames.